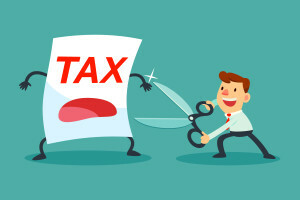 You might have heard of tax deductions that large corporations constantly try to claim, but did you know that as a small business owner, the same tax codes apply to you? Below are a few examples of tax-deductible expense you should claim in order to save money on your bill to the I.R.S. As a business owner, you’ll find that you’ll be responsible for obtaining your own insurance policies, and you’ll also be responsible for obtaining several types of insurance. You will need to obtain health insurance for you and your employees, and you’ll need to obtain business liability insurance. You should also purchase a policy to protect your all of your business assets, too. While all of these insurance premiums will become expensive, here’s the good news: Your insurance premiums are tax-deductible. Check with your accountant regarding the exact figures, but know that your policies are claimable expenses. Home office business owners might feel that their entity is too small to take advantage of the same tax laws that the big corporations do, but nothing is further from the truth. This means that the work-from-home warrior should keep their receipts for any and all home office expenses because they’ll need to claim these on their taxes. Have you purchased operating items such as computers, desks, phones, copiers, etc.? You’ll need to claim all of these. Not only should you claim the costs of all of your initial purchases in a given tax year, but you should keep your receipts related to the maintenance and repair of your office equipment, too. Keep in mind that even though you can only claim the purchase of equipment such as copiers only once, you can continue to claim copier repairs Las Vegas in subsequent tax years, as long as the repairs are being performed in the given year you’re filing taxes within.